At Lefstein-Suchoff CPA & Associates, continues to provide useful information that helps those in need of tax help for: tax settlements, tax debt, back taxes, IRS tax debt, an IRS levy, IRS tax audits, Offer in Compromise, IRS tax lien, etcetera. Medicare provider and supplier payments. In the future, the program will expand to include additional federal employee salaries and other types of federal payments. Federal payments to a delinquent taxpayer will not be included in the program in certain circumstances. These circumstances include, when you are in bankruptcy, have applied for relief as an innocent or injured spouse, made alternative arrangements to pay, or the IRS has determined you are in a hardship situation. Lefstein-Suchoff CPA & Associates may assist you with representation for innocent spouse, injured spouse, hearings, as well as having you deemed a hardship case, depending on your circumstances. As part of this program, a file of delinquent accounts is transmitted to FMS to be matched against pending federal payments you are due. FMS may reduce any federal payments subject to the levy by 15 percent, or the exact amount of tax owed if it is less than 15 percent of the payment. Some contract/vendor payments, however, will be reduced by 100 percent, or the exact amount of tax owed. The levy is continuous until your overdue taxes are paid in full, or other arrangements are made to satisfy the debt. Each time your federal payment is levied, FMS will send you a letter of explanation, including information on which federal payment was levied, and advise you to contact us for resolution. 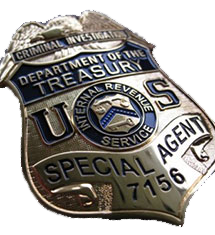 For help with IRS tax Audits, tax problems, back taxes, tax settlements, tax debt, Offer in Compromise, Tax help, IRS debt, a Tax lien, a State Tax levy, an IRS levy, an IRS tax lien, contact us. If you need IRS help and have unresolved cases with previous tax lawyers and tax attorneys, we can help find an optimal resolution for your indigenous needs. Contact us at 201-947-8081 or 646-688-2807, or email us at info@irstaxproblems.com. 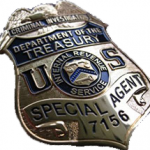 This entry was posted in IRS Collections and tagged Business Tax Relief, File Tax Return, IRS Problem Help, IRS Relief, Tax Problem Solutions. Bookmark the permalink.